The new owners of this neighborhood coffee shop seem to have ambitions far larger than the tiny (and seemingly unfinished) space would imply. Baristas are superfriendly, direct-trade coffee is roasted in-house, and sandwiches are named after storytellers. Options like the Garrison Keillor (turkey, cheddar, avocado, apple and honey mustard on wheat) are basic and straightforward, as are the lattes, but the genuine warmth of the place is more uncommon. baristas are as good at their jobs as they are attractive. amazing drinks and unwavering commitment to quality. 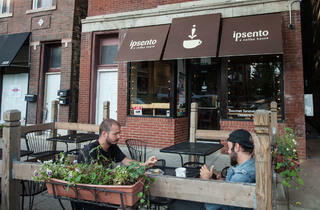 Ipsento has by far the best coffee in all of Chicago. As if the original coffee shop wasn't great enough, they went and opened a phenomenal coffee shop by day and bar by night, Ipsento 606. Kudos to them! Hands down my favorite roaster in Chicago! While there are many incredible lattes in this city I can't find one that beats out the Ipsento Latte. A mixture of coconut and whole milk (unless you prefer otherwise) with a touch of honey and cayenne transform this latte into the perfect anytime of day latte. The staff is extremely friendly and knows what their talking about when it comes to coffee! Not always easy to grab a spot in the small cafe however word on the street is that they are opening a new location soon! **Heads up sometimes the lines get a little long and the attention to detail these guys give their drinks isn't always best for someone on the go! I may have missed my Metra train waiting 20 minutes in line but waiting another hour for the next one was worth the wait for me with their coffee drinks! 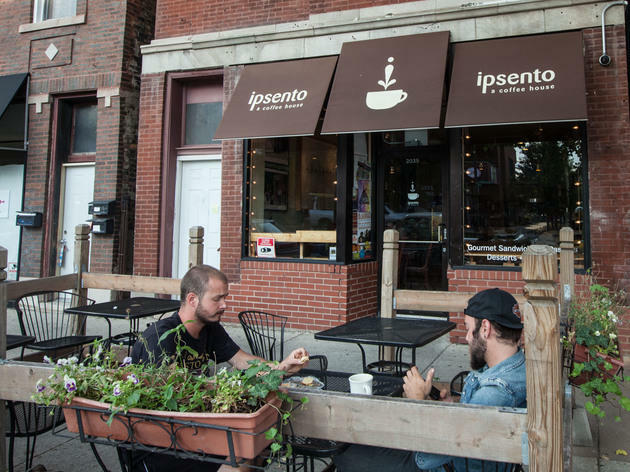 Ipsento is an adorable, quirky little coffee shop not far off the Western Blue Line. It has two levels of seating, with the upstairs definitely having that bedroom in the attic feel. Sit and stay awhile. I live right by Ipsento and have been a longtime fan of their perfectly crafted lattes that are so dang silky and drool inducingly delicious. The Nutella latte is pure sin, and I’m still haunted by the memory of a dark chocolate basil mocha I had over a year ago. But the best thing on the menu is the titular latte. I avoided it for a year based on its strange ingredients, don’t make that mistake. It’s coconut milk, honey and cayenne pepper blends perfectly with the espresso and is hands down the best latte I’ve ever had. A cute (yet super tiny) local coffee roaster that serves up some truly creative drinks. Their house option, the Ipsento, combines coconut milk and cayenne for a creamy sweet drink with a bit of lingering heat. During the fall their pumpkin latte has real pumpkin puree in it too! Not a good spot for sitting on your laptop for hours since it's small but great place to grab coffee or linger on their front patio.